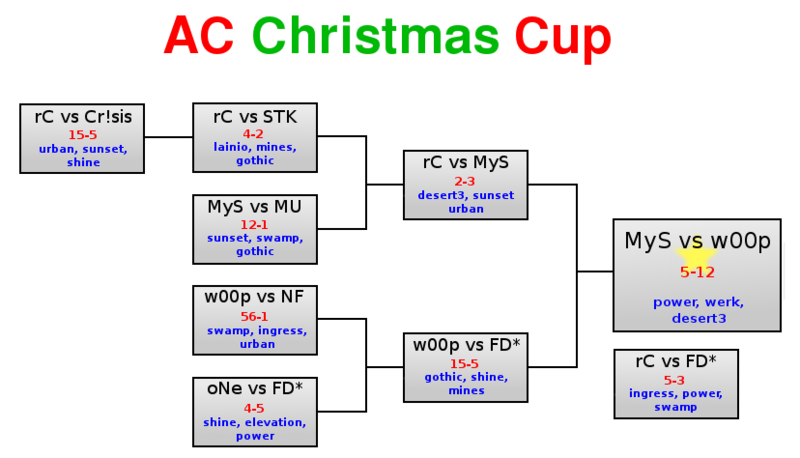 To celebrate Christmas properly, w00p is happy to announce their victory during the last tournament of the year : the Christmas cup! Our all French line-up (Harrek, Honor, Redbull) brought back a glorious victory. To succeed they had to face NF, FD*, and =MyS= during an awesome final match played on ac_power.